Dead Man’s Hand Down Under takes place a long way from the frontier of the old west. Although the geography has changed the things that drive men hasn't. Our final instalment takes us “Down Under”to the frontier towns of Australia where Bush-rangers battle with the State Police and Legends like Ned Kelly are born. 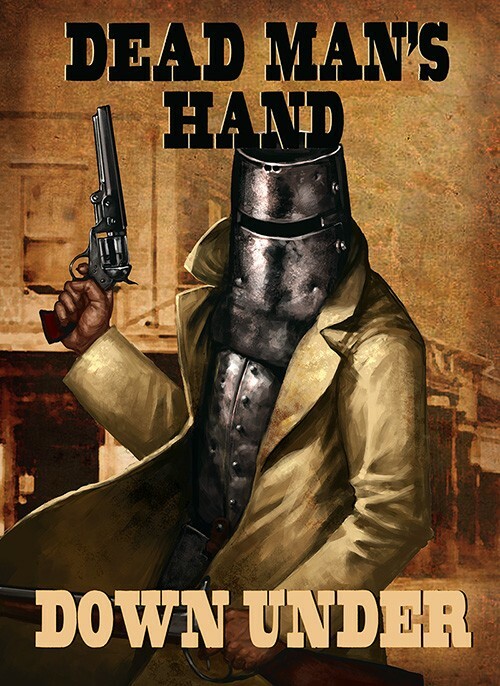 The land is as hard and unforgiving as the Old West and so are the people.So neck your glass of Smokey Rum, give your Sheila a kiss, grab your gun and get in to the fight.Dead Man’s Hand Down Under contains, 12 new scenes and three new gang types: State Police, Bush-rangers and the Kelly gang.